I know I’ve been slacking on the posting lately. Sorry about that, everyone! I’m trying to get back to the regular posting. I promise! It’s Wednesday, so we’re looking at another lesson. It’s been a crazy few weeks, so we’re going to look at making time. I know I’ve talked about it towards the beginning of this website, but I think it’s time to look at it again. I’m guilty of this. I’ve been here before. I’ve said, “I don’t have time.” Yeah. I’ve done that. Why? As it turns out, I’m just lazy. Lately, I’ve been forcing myself to do a little bit every day. I have a goal of editing two chapters a day, although I try to make it more like five. I’m trying to make myself do a lot more. Maybe I won’t get a chance until the evening, but gosh darn it, as soon as I get the time, I’m doing it. At least, I try to. Now, maybe I won’t do as much if I’m extremely tired. Maybe I won’t do as much if I can’t think straight. But I try to do a lot. I try to push through and make sure I take the time. I try to make sure I’m doing at least a little bit every day. 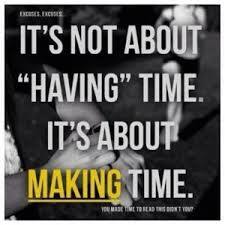 If I don’t do anything one day, it’s not because I didn’t have time. It’s because I chose not to. Try to do a little bit of writing every single day. You might just have five minutes. You might have just a couple minutes. Any writing you do will be a big help. Never doubt that. It’s Wednesday, so it’s time for another lesson. This week, we’re looking at how to deal with being busy. I’ve gotten busy a lot lately. I was out of town for a single day, and then everything exploded. A good explosion, mind you. I didn’t have time to write or edit on Sunday because everything happened. I know, I’m big on making time, but I have to admit, my mind was so out of it on Sunday. After all, my author interview did take up a lot of time. Okay, so I’m totally making excuses. I know, I know, I’m being totally hypocritical. I could have made time to write on Sunday, but I didn’t. So, what does making excuses have to do with being busy? A lot. We all have those days when we’re like, “Well, I want to write…but I’m so busy. I don’t have time.” I’ve had multiple times when that has happened. I don’t like it, but it does happen. The big thing is just trying to get a few minutes in. Even if you just have five minutes to squeeze in, that’s five minutes of writing. Just that can make a big difference. Try to make time to write if you want to write. Quit making excuses. 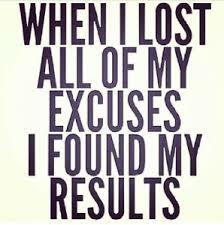 Excuses do nothing but hold you down. Another Wednesday, another lesson. Today, we’re looking at making time to write. I know, I’ve talked about this before. This week, it looks like it’s a lesson I could learn, too. I thought I was doing a lot of writing. Really, I thought I was. I was making progress on my books, and yet, this week I learned that I’m actually not making that much progress. Confused yet? I am, too. Last week, I started a Facebook author page (which I hope to remember to put in the contact page), and I keep my followers updated daily on how my progress is going. I thought for sure that I would be telling them that I had gotten a lot of writing done every single day. It seems like most days I was saying that no writing had been done. Absolutely none. On the days I did write, it wasn’t a lot. I had edited a chapter and written a chapter. Gosh darn, I feel terrible about not writing as much as I thought. So, what was I not doing? Making time to write. That’s right, I wasn’t doing what I’m so big on. I’ve always wanted people to make time to write, so why wasn’t I doing the same thing? It’s disturbing to realize, to say the least. Don’t be like me. Actually make time to write. I know I’ll be making the change. You have time to read this, you have time to write. I have time to write this, I have time to write. So, ready to make that difference with me? It’s time. One, two, three, go. I’m so glad to be getting back to lessons. I enjoy these and I missed doing them! Today, I’m going to talk to you about letting life get in the way. I know, I let it, so I’m going to seem like the biggest hypocrite ever today. I hated it, trust me. I understand that sometimes you can’t help it. The family is in town and you want to spend time with them, you’re taking care of your newborn and too tired to think straight, or you just don’t feel like dealing with anything. I know. I get it. Your fans depend on you. Even if you don’t have a big fan base, I’m sure you have some. I didn’t think I had any, but then I met one. But that’s not important right now. The point is, you have fans. Let them know you’re still alive. Guess what letting your fans know you’re still alive means? You guessed it — making time! Make time for your website, make time for working on your manuscript, make time for anything you need to do. If you really want to write, you can make time. You might say, “But I don’t see where I can squeeze in time. My child is little and all of my time is devoted to him.” Wrong. There’s this thing called nap time and bed time. Don’t take a nap and write while your kid is asleep. Write after your kid goes to bed. You have time. you’re just making excuses. “But what about my job? I can’t make time because of that.” You have your lunch break, don’t you? Get to writing! Excuses are way too common when it comes to writing. Don’t be that way. Get to writing.